The Earth is round, and maps are flat. That’s a problem for map makers. And a source of endless entertainment for geeks. Carlos A. Furuti has an excellent website with many projections and clear explanations of the tradeoffs of each. 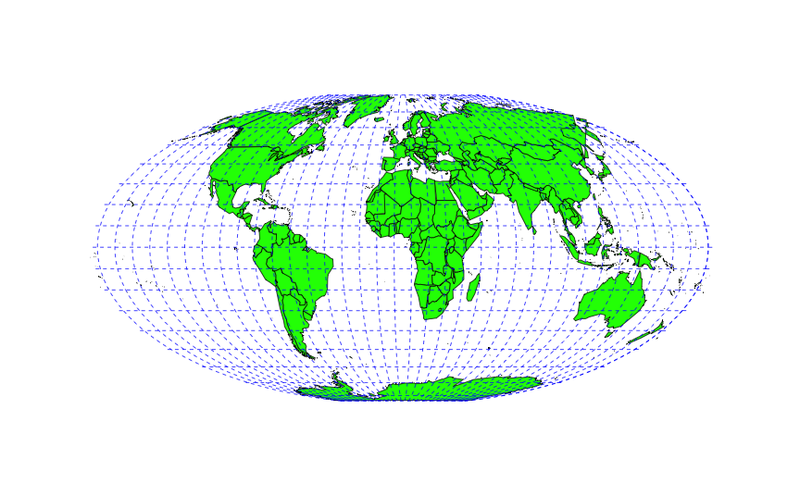 The main projection page has links to all types, including two of my favorites: Other Interesting Projections, and Projections on 3D Polyhedra. Enjoy!